Wickepin is located on the Yilliminning Junction / Corrigin / Merredin Railway in the section between Yilliminning and Yealering. 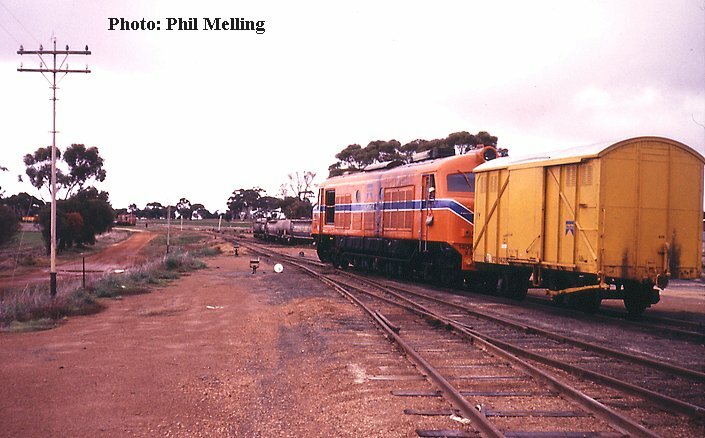 When we first started photographing trains out at Wickepin, it was used as an interchange point to swap locomotives and their respective trains from Narrogin and Corrigin. On the Narrogin side is the Wickepin Bank a grade that always produced smoke from the exhausts of the Metropolitan- Vickers X, XA & XB class. It was not the same when the Clyde-GM A class took over. 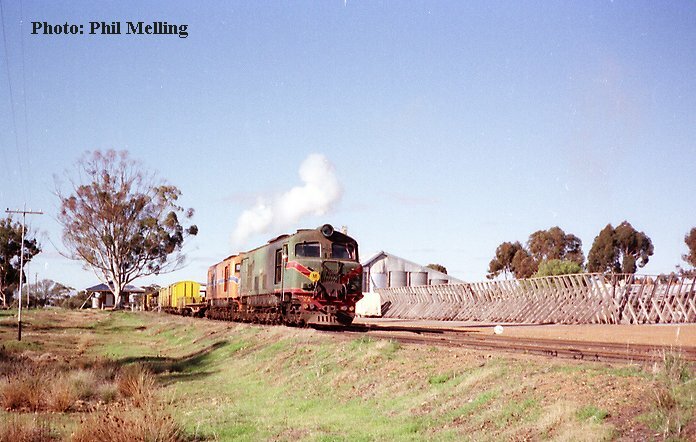 We start off with a few photos of XA1407/XA1405 at Wickepin then climbing the bank. 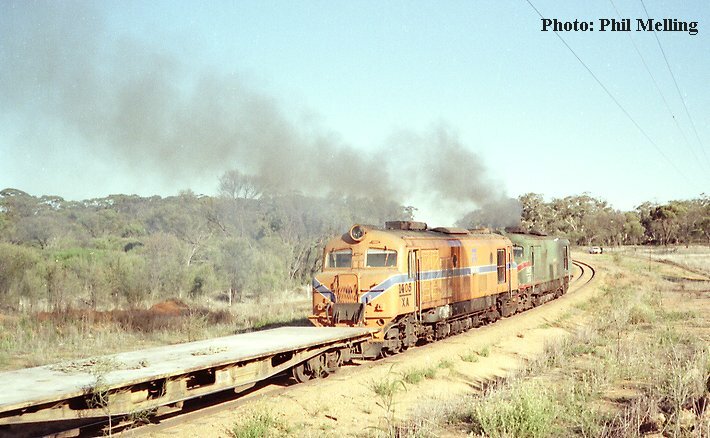 The telltale puff of smoke signals that XA1407/XA1405 are leaving Wickepin for Narrogin on 2 July 1982. XA1407/XA1405 are well up the bank on 2 July1982. The locos are smoking well as they head towards the top of Wickepin bank. Once an everyday scene at many sidings and stations XB1004 is seen shunting wagons at the goods shed at Wickepin on 8 July 1982. 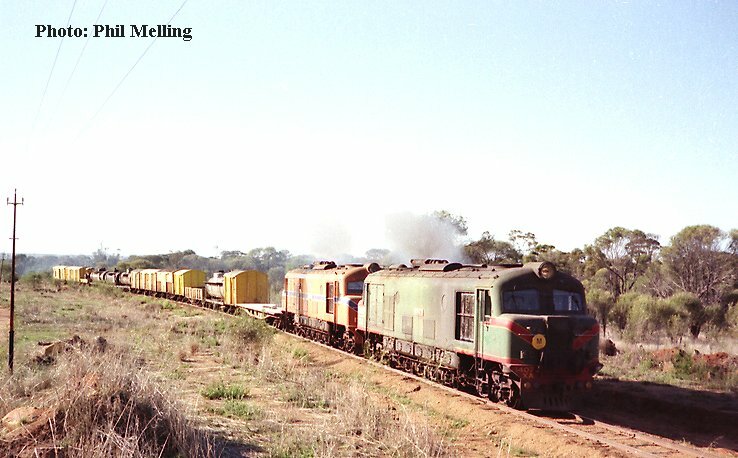 From here the train worked through to Corrigin, loading at the time only required the use of a single locomotive. 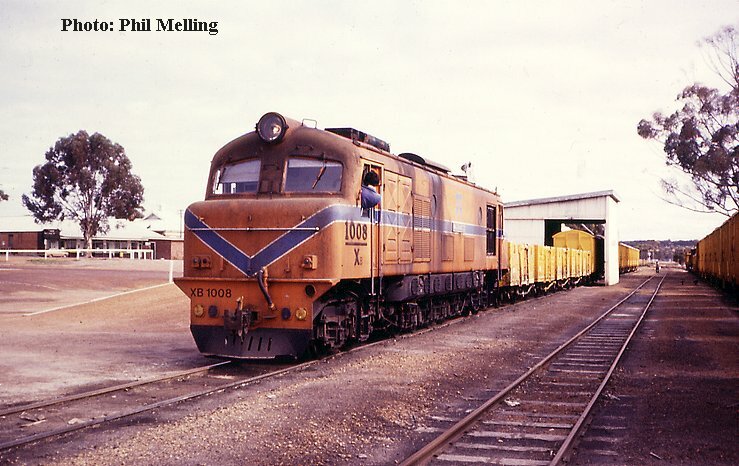 XA1406 shunts wagons off its train at Wickepin after arriving from Narrogin on 9 July 1982. In the distance can be seen XB1004 and its train from Corrigin, shortly the locomotives will be swapped and 1406 will head back to Narrogin and XB1004 will take the wagons from 1406's train back to Corrigin. Note the fuel wagons at the fuel depot another scene long gone from Wickepin.